Mead & Hunt announced that Andy Platz is the new CEO effective July 1, 2018. 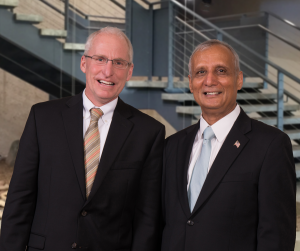 Platz will continue as President, and former CEO Raj Sheth will continue as Chairman of the Board. Founded in 1900, the employee-owned (non-ESOP) consulting firm remains strong on ENR’s Top 500 design firm list with a national ranking of 139 in 2018. Mead & Hunt made the Zweig Group 2018 Hot Firms Top 100 list for the 15th time in the past 16 years, demonstrating the company’s continued fast paced growth. Mead & Hunt was named by CE News as one of the top 10 engineering companies to work for in the nation.